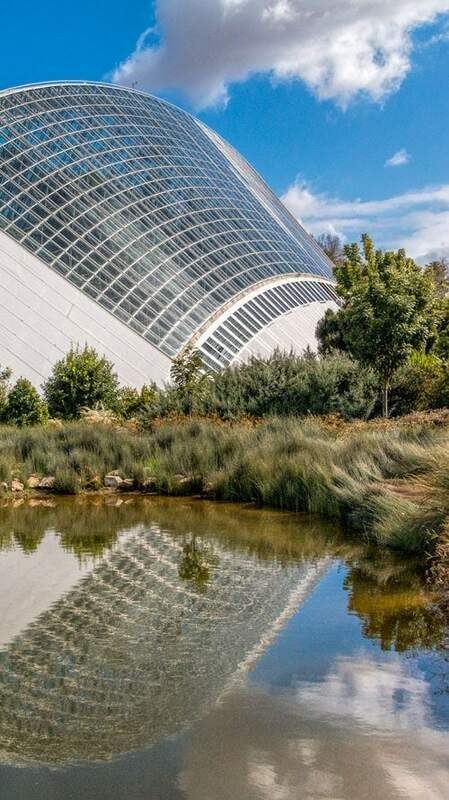 From the heritage city centre to its 4 world class wine districts, scenic beauty and a thriving food scene there’s no shortage of things to do in Adelaide. Come with us as we show you the best of the city and surrounds, where to eat, play and stay and a few tips to make your time in this small but fabulous city the best experience possible. Adelaide is the capital city of South Australia. Its central city is compact, roughly 5 km² and structured in a neat grid pattern. It’s completely surrounded by a green belt and the 4 terraces, wide avenues that border the city to the north, east, south and west. The River Torrens runs in from the Adelaide hills splitting the central city from Adelaide north before flowing out to the sea at Glenelg. To help get your bearings we’ll include a map here showing many of the places of interest we mention below to help plan your own trip. You can save this down to your phone and use it in offline mode if you don’t have connectivity. We stayed at the Adelaide Intercontinental on North Terrace which has direct access to the riverside but there are plenty of other options to cut through to Elders Park from the top end of town. A morning walk along the river is the perfect way to start the day. The river has quite an English feel with the bandstand forged in Glasgow in 1882, deciduous trees and the rowing crews out on the river. 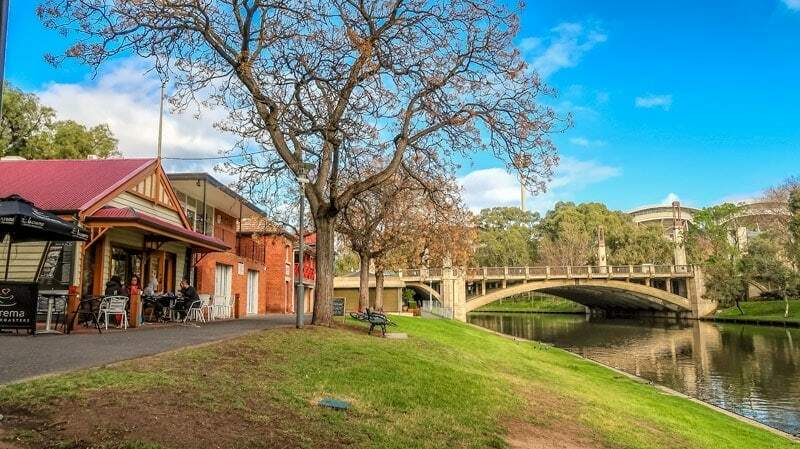 You can take a river cruise on one of the Popeye boats that have operated on the Torrens since 1935 or relax over breakfast in the Jolleys Boathouse cafe that now occupies the historic Lounders boatshed. If you want to explore the north side of the river there are several bridges along the way giving access to the Adelaide Oval and North Adelaide. We followed the path from the exhibition centre to the zoo on the city side with a detour over the Albert bridge, built in 1879, for a quick look at the Oval, parks and a few of the heritage buildings on the north side. With 50 hectares dedicated to the gardens in the central city these are worth a look for anyone who enjoys some time outdoors or with an interest in gardens. You’ll find everything from formal rose gardens to Australian forest and a wetland providing a sustainable water supply for the garden. The gardens have 3 fabulous glasshouses. 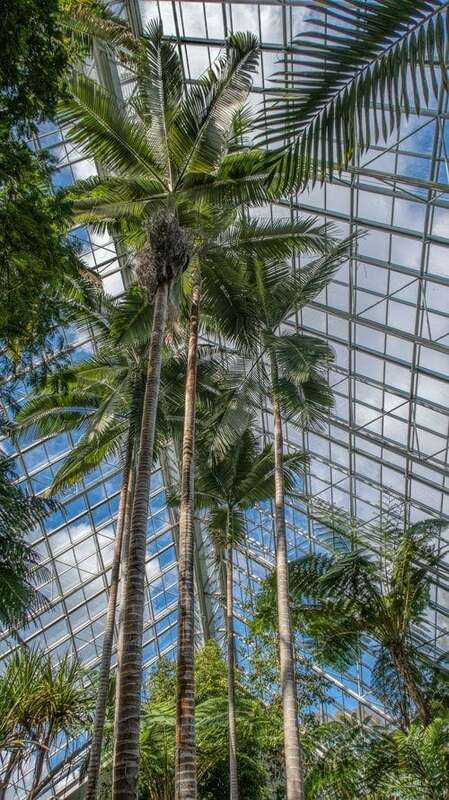 One houses an Australian rain forest, another a giant Amazonian waterlily that’s been in the collection here since 1868 and the third the collection of Madagascan palms. Down in the south-east corner is the National Wine Centre. If you want to learn more about the wines and vines of Australia before heading out to the Barossa or South Australia’s many other wine districts you might want to stop in here. Adelaide was the first city in Australia settled entirely by free settlers and the architecture of that time has shaped the city. From the drama of Parliament House and the Town Hall to cathedrals, statues and heritage bridges that still span the River Torrens the framework of the city has endured. You could join an organised heritage tour but a self-paced walk through the city is a great way to get an appreciation of it. The city has documented walking trails online and you can pick up a hard copy map from the Visitor Information Centre in James Place just off of Rundle Mall. If you’re looking for something less structured but want to enjoy the early architecture of the city the Cultural Centre on North Terrace is ideal. Buildings around here include Parliament House, the Museum and Art Gallery, University, War Memorial and Railway station. 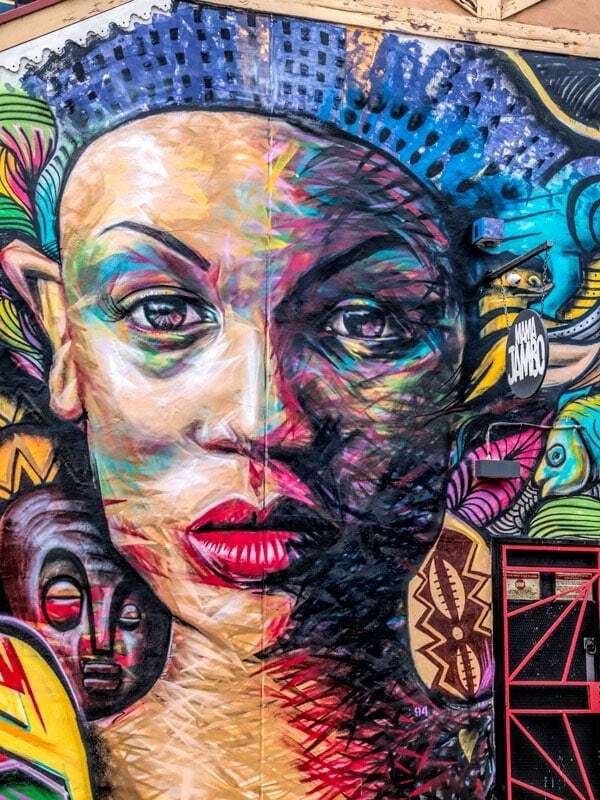 We are big fans of street art, not that we know much about art but we do know what we like and we like what we see. There’s some incredible talent around. 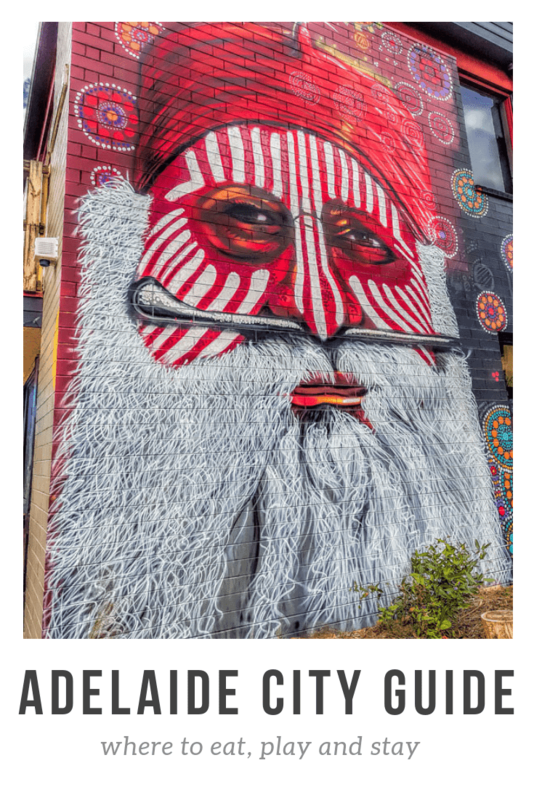 Adelaide has established an excellent collection of Street Art since the city began curating it under the ‘Vibrant Adelaide’ mandate. 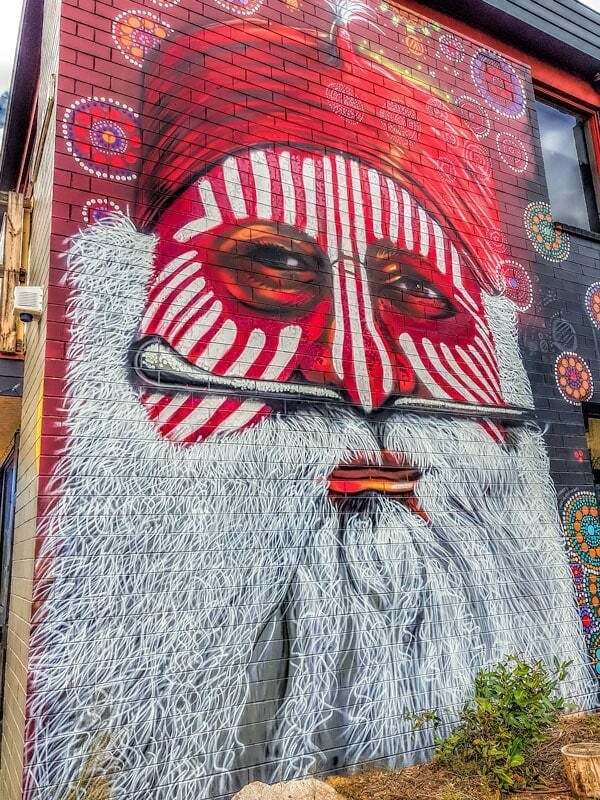 While Melbourne was once the street art capital of Australia, Adelaide and many smaller cities are now contenders for the title. You’ll need to walk the back streets and alley ways to find the full collection and the best pieces. The only downside is that a good cafe, an essential of any street art hunt, took a while to locate. We did find The Joinery near the bus depot offers great coffee, is friendly and we’re always happy to support a cafe with a community spirit and a ‘pay it forward’ system. There’s a lot of talent that’s gone into creating the various murals around the city centre, and beyond too if you have the time to explore further afield. 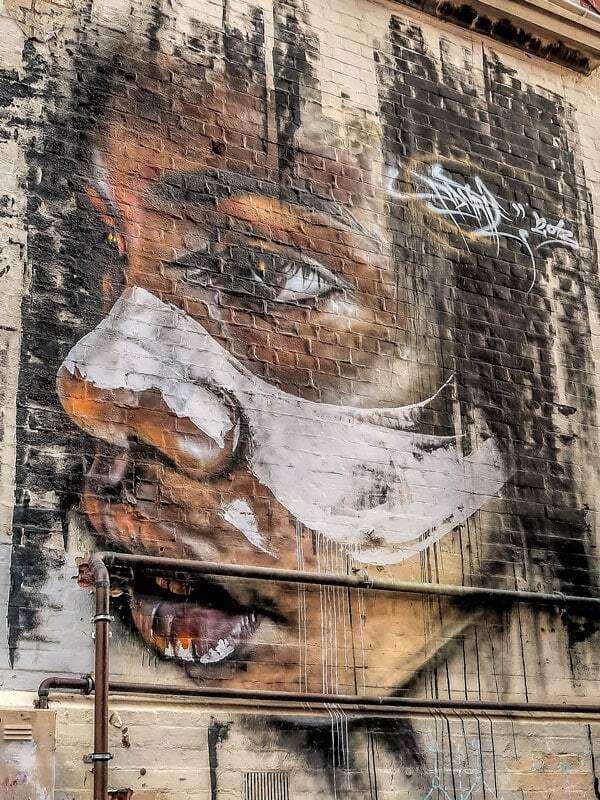 One thing we particularly liked is that for the most part the artists work has been respected and remains free from the tagging that characterizes the Street Art scene of many larger cities around the world. You can find a map to many of the pieces published by Adelaide Fringe here. I knew for sure that we would want to see the Himeji Japanese Gardens while we were in the city. Himeji is an historic city in Japan between Kyoto and Hiroshima. It’s home to arguably the most dramatic of the Japanese castles remaining from the feudal period and has spectacular gardens. We first visited Himeji during the spring blossom season before the major restoration work began on the castle and our visit to Adelaide’s Himeji Gardens also coincided with the spring blossoms. 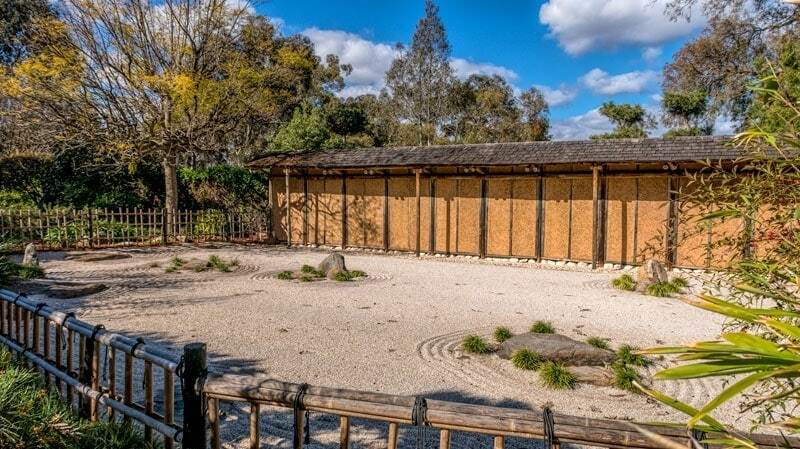 Adelaide’s Himeji Gardens were established in 1982 and are located on South Terrace so it’s a bit of a walk from most of the other city attractions although you could use the tram if you wanted to, it’s free within the city limits to jump on and off. The garden design was a gift from Adelaide’s sister city of Himeji and is really well done. It uses plants that suit the local environment but in a way that draws on concepts that you’ll see in many of our favourite gardens in Japan including borrowed scenery, seasonal colour, a raked gravel garden and water features. 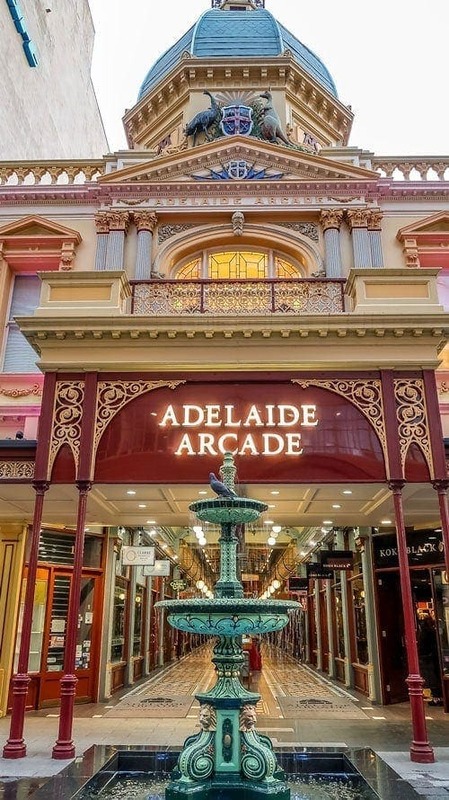 Rundle Mall is the central shopping area of Adelaide and you’ll find some local favourites here such as Haigh’s Chocolates who also have a factory south of the city and the heritage Adelaide Arcade that opened in 1885. 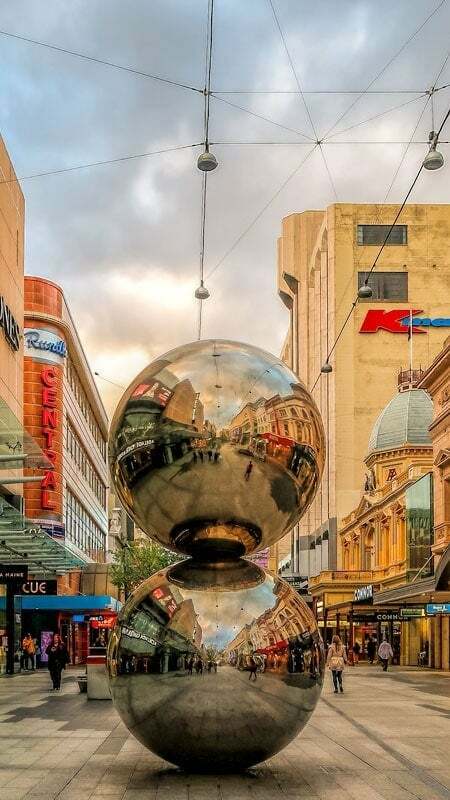 The mall was created as an extension of Rundle Street and is the major shopping precinct in the city. The sports buffs in the party are going to want to at least glimpse the Adelaide Oval and there are some great views of it across the river. For those that want to get a little closer to the action why not pick up some tickets to a local game, take a stadium tour or take on the challenge of the roof climb. The Adelaide Zoo is known for its much loved Giant Pandas, something you will see in very few places around the world. Wang Wang and Fu Ni aren’t just here to look adorable though, they’re part of an international conservation and breeding program working to preserve the vulnerable species. Established in 1869 these are the largest undercover markets in the Southern Hemisphere. You’ll find them in the central city, it’s an easy walk if you’re staying here and if you are passing through or doing your weekly shop there’s free parking upstairs while you stock up. As a committed foodie and having already found some great regional produce on our trip out the Barossa Valley this was high on my list of must-see destinations. What you do need to know is that it’s not a daily market but opens Tuesday through Saturday. We didn’t realise that initially and had to reshuffle our itinerary, it was worth it though. It’s a great market especially if you’re living locally and well worth a stop in for a restock if you’re travelling in the area. We’d highly recommend the cheese shop and fabulous fresh organic produce from the centre of the market. The House of Health down towards the back is also worth a stop and a few jars of their amazing gingerbread almond butter joined our extra luggage on the trip home. A few other artisan food products and some enormous pieces of biltong shaped like bat wings from the friendly butchers near the escalator were also added to our market bag before we left. 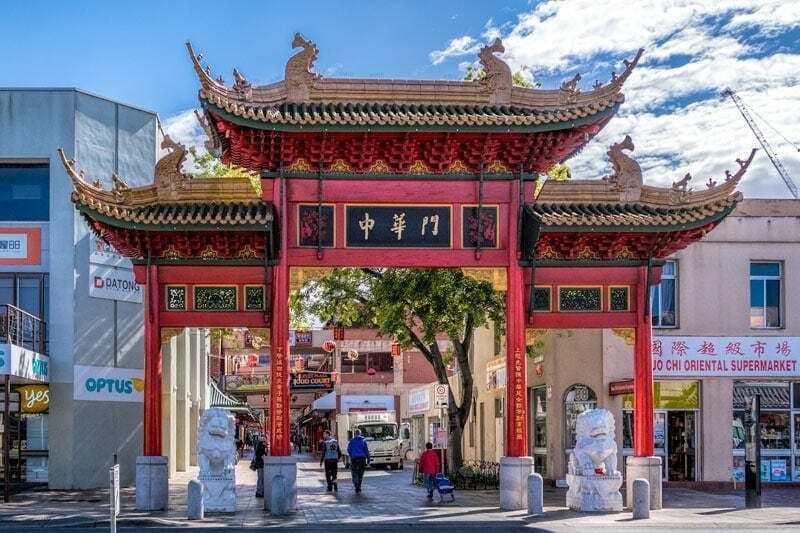 Adelaide’s Chinatown is located between Grote and Gouger streets not far from the Central Markets. The main street is marked by the familiar red gates with guardian lions. The area includes a mix of businesses, mainly Asian Grocery and restaurants including a good selection of Chinese or course but also Japanese, Korean, Vietnamese, Thai and Malaysian. Chinatown is the location for the city’s Lunar New Year and other celebrations throughout the year. If you can’t pass through a Chinatown without stopping for Yum Cha I’m told by popular consensus Ding Hao is the place to go. The Art Gallery of South Australia was founded in 1881 and holds an impressive collection of around 42,000 pieces. 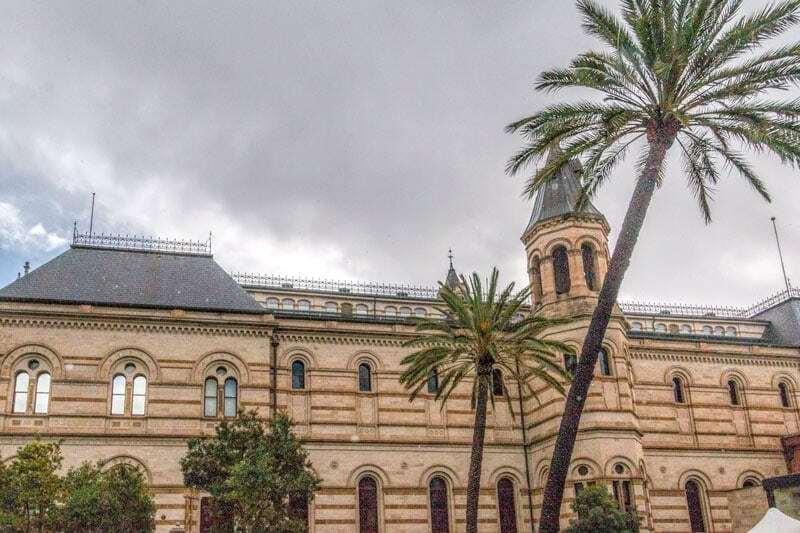 It’s located in the cultural heart of Adelaide on North Terrace in the beautiful heritage building pictured at the top of the page. Entry is between 10 am and 5 pm and free for the main displays which range from paintings to photography, ceramics, sculpture and more. Special exhibitions may have a fee. The natural history museum was established in 1834 and holds an extensive Australian Aboriginal and Pacific Island collection giving insight into the history of the various cultures. All permanent displays in the museum are free to enter. Another room is dedicated to visiting collections and while we were there it had an Australian Geographic photography competition on display. There is a fee for these temporary displays but with our interest in both photography and Australian wildlife, it was worth the entry. A short tram trip from the city will have you on the long white sand beaches of Holdfast Bay. Glenelg has something for everyone whether you’re interested in the city’s rich heritage, relaxing on the beach, the selection of boutique shops and galleries or the cafes and restaurants. The Glenelg jetty is also a popular spot for sunset viewing. The tram from the city to Glenelg will take 25-40 minutes depending on where in the city you hop on, by car it will take around 20 minutes. The return tram costs $10.40 on the day ticket. For detailed information on getting to Glenelg see the Adelaide tram map and timetable. The Barossa is Australia’s oldest and most internationally recognised wine region. At just an hours drive from the central city, it’s very easy to access either with your own vehicle on the many tours offered. The area has 3 small towns all with an influence remaining from the original European settlers to the region. In addition to around 130 wineries, many with cellar doors, tasting rooms and restaurants you will find plenty of farm gates and artisan producers too. Barossa Cheese’s is relatively young at only 15 years but it makes some wonderful cheeses and the team at their Angaston shop front are so welcoming to their cheese tasting table and have a lot of cheese making and local knowledge to share. Of course, my own big draw card to the Barossa Valley was Maggie Beer and I’d have to say a stop at her farm shop for a tasting overlooking that fabulous blue lake is a must. Just a 15-minute drive from the city will have you at Waterfall Gully at the base of Mt Lofty. The panoramic view of the city from Mt Lofty, the highest point in the Adelaide Hills isn’t to be missed and the huge botanic gardens here are beautiful. Take the back roads and explore the country towns along the way including our favourite, Hahndorf, with its fascinating German heritage. Adelaide Hills is also a wine district with the first vineyard planted here in 1836. Many boutique winemakers have based themselves here since and you will find a variety of whites and reds produced in the European style. The Clare Valley is a little further from the city, the 100 km drive will take you around 2 hours. There’s a lot to love about this wine district situated in the Hutt River valley including its talented local wine producers and foodie spots but it’s the Reisling Trail that sells it for us. The rail trail is a converted railway line that runs from Mount Horrocks Wines in the restored Auburn Railway Station in the south and running 33km north to Barinia. Along the way, you’ll pass rolling vineyards, small towns, art galleries, cafes and of course many of the regions famed wineries. Located off the coast of South Australia, Kangaroo Island offers dramatic rugged scenery and is a haven for wildlife. 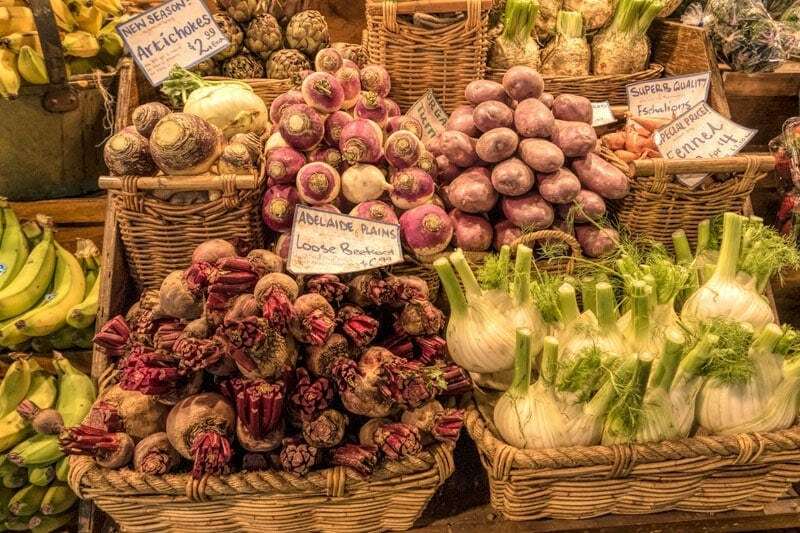 It’s also an interesting destination for the foodies among us with wineries, the Oyster Farm Shop, a distillery and some great local, seasonal produce. You can do a day tour to Kangaroo Island that takes in the highlights and this is an option if it’s the only way to fit it into your itinerary. However, do remember it takes around 4 hours to get there from Adelaide and the island is the 3rd largest in Australia so there’s a lot to see. A couple of nights could be a good choice for this one if you can either as self-drive or a 2-day inclusive package of transport, accommodation and tour. This wine region on the Fleurieu Peninsula is renowned for its 110+ wineries and sprawling vineyards. Enjoying a Mediterranean climate it’s ideal for the robust reds it’s known for and enjoying the stunning rural and coastal scenic spots that surround it. It’s also conveniently located less than 40 km from the city. Many of the rustic buildings belonging to the wineries are heritage listed and as you drive through the main street you’ll see 19th-century ironstone buildings scattered along it plus so many restaurants, cafes, galleries and small interesting shops you’ll be spoiled for choice. The Fleurieu Peninsula is absolutely beautiful and the couple of days we had down there was not long enough to see all that it has to offer. There are historic villages, stunning coastal walking tracks, wildlife, wineries, great local food and peaceful rural views. We stayed at the Trafalgar Premium Vintage Suites in Port Elliot. The restored Maids Cottage is beautiful including a deep freestanding bath, monsoon shower and 4-poster bed. All the little touches have been thought off from locally made chocolate to insect repellant and the breakfast pack is a generous size. You have a huge private patio to sit outside, a planter of herbs if you’re cooking in and an outdoor shower to wash off the sand if you’ve been down for a swim. Make time for a walk out and around Granite Island, one of the marine wildlife trips from the causeway if you can, visit picturesque historic towns like Strathalbyn and stop off at the mouth of the mighty Murray River that flows north through 3 states. While the waters off Kangaroo Island are well known for their proliferation of marine wildlife it’s not your only option to see the regions prolific sea life. Trips leave daily from Victor Harbour on the Fleurieu Peninsula where you can see seals, sea lions, dolphins and whales along the coast. These trips can be organised with Big Duck boat tours locally if you’re staying on the peninsula but there are also options for inner-city pickups. It’s always a bit of guess when trying to work out to stay in a city on your first visit. Unless you’re travelling for business I’d suggest the top end of town, on or around North Terrace is the best option. Here you’ll be close to many of the city attractions we mention above, the Torrens River runs behind north Terrace, the cultural centre of museums and galleries is here, some of the best restaurants are close by and you’re well positioned for anything that’s on in the convention centre or Adelaide Oval. Rundle Mall, the Zoo and botanic gardens are also nearby and the transport hub of the train station and the tram is located here too. Our pick on this trip was the Adelaide Intercontinental. We got a great deal online with Booking.com and it was so convenient to everything that it would be hard to beat. It’s located on North Terrace with direct access to the river, exhibition centre and transport hub. The rooms were a comfortable size, very clean and with a quality fit out. The bed was super comfortable and there were plenty of charging points, two deal breakers for us. Our room also had a small view of the river and pool, which a couple of very hardy souls actually swum in September. Breakfasts were included in the price we paid making it an even better deal when we saw how good their breakfast buffet is. It includes barista-made drinks and the option to order eggs and other items cooked to your preference from the menu. We’d definitely recommend and return to this one. With so many fabulous agricultural and artisan producers so close to the city, Chefs and restaurants in Adelaide have access to everything they could possibly want. Many city restaurants are clustered in the centre north of the city and we found the Peel Street and Leigh Street laneways could have happily kept us fed for a couple of weeks. One of the challenges we did find is that Adelaide is a city that still very much closes on the weekend and those places that do open are in high demand. We did a bit of walking that first night to find somewhere that could seat us, we learned our lesson fast and booked ahead for the remaining nights. Like most visitors, we flew into Adelaide Airport. The one terminal houses both international and domestic flights and being a smaller capital city airport it was easy to navigate our way around. 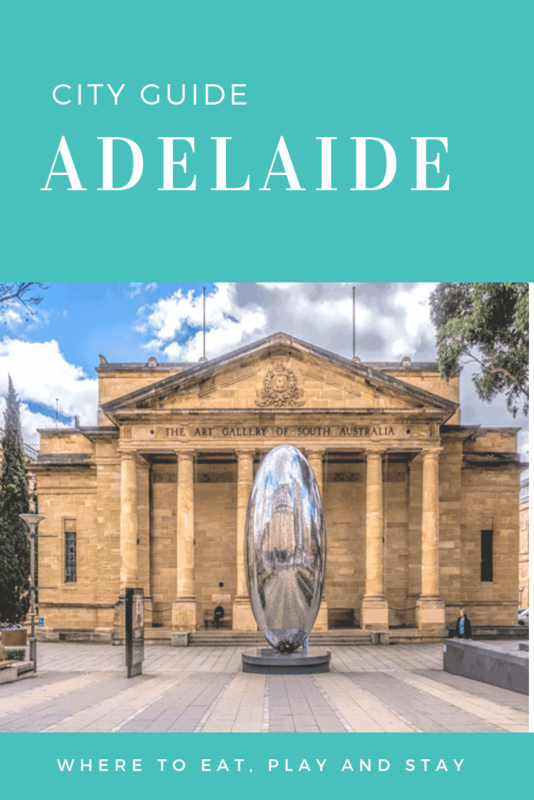 We flew into Adelaide with Jetstar Australia, they offer good value direct flights to Adelaide from most capital cities in Australia including Brisbane. It’s also super easy to jump online and pre-book some extra baggage allowance for the flight home if you’ve shopped up a storm in the Barossa Valley. Adelaide Airport is around 6 km from the city and you can get in there in around 15 minutes by car or taxi. If you are staying in the city centre you have a few options for getting there. It should cost $25 – $30 and take around 15 minutes for a taxi from the Airport to the city. As you leave the airport terminal the taxi rank is on the left and a concierge manages the process to ensure everyone gets on their way as quickly and efficiently as possible. We picked up a rental for the second half of our trip and returned it to the airport as we left. Most major rental car companies including Avis, Hertz and Europe Car are represented at the airport for easy pick-up and drop-off. There are several shuttle companies servicing the airport to the city and some other routes. There are various service levels and pricing models with these so shop around if you plan to go this way, not all offer a door to door services and if you’re a couple or family it may be more expensive than a taxi. The city bus service has an efficient airport service running an express public bus hourly between the airport and city and bus services to other areas such as Glenelg and West Beach. This option costs under $5 to the city. Adelaide is a small city, if you lean into that you’ll have a great time. Just don’t be surprised if you can’t get a restaurant booking after 8 pm or that you struggle to find a coffee shop open on a Sunday, it’s all part of the charm. Alongside that, it’s home to many of the countries leading wine regions and offers up some fascinating history and gardens, coastal scenery, rural scenery and wildlife. Perhaps most impressively it’s the gateway to some stunning spots that are so incredibly close. From the city, we explored the Adelaide Hills, Fleurieu Peninsula and Maclaren Vale before returning to the car to the airport with less than 400 km on the trip tracker. There are not many places you could do so much with so little travel time.